Bowes and Gilmonby Parish Hall was opened on 24th April 1963 and was built by the farming community for the community. The size and layout of Bowes Village Hall make it an ideal choice for private and business functions. The hall is available for hire for: • Meetings/Small Conferences • Training • Parties • Sports Classes • Functions • Social Events • Fairs and Sales • Stage Productions and Concerts • Rehearsals • Exhibitions. Regular activities ongoing in the hall include a weekly Post Office, activities for the elderly and a Parent and Toddler group. 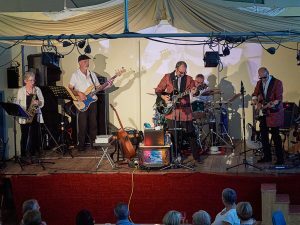 Those hundred years of hilarity are brought back to life by QuickSilver for an evening of sparkling song-based entertainment. 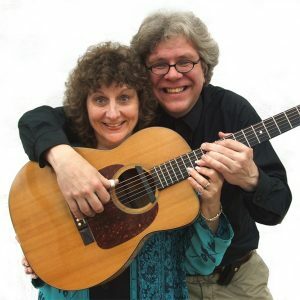 Together Grant and Hilary revive memories of the great stars (and a few acts who hardly made it above the printer’s credits) in a celebration of that great institution, the well-crafted comic song.